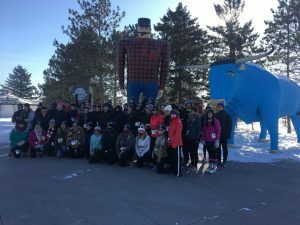 A wintry fun 5K collaboration with Parks & Recreation and the Blue Ox Marathon. The first 96 participants will receive a Frozen Ox Winter Hat. This is a fun run/walk and a timing clock will be available. Awards will go out to the first 3 finishers in both male and female runners.